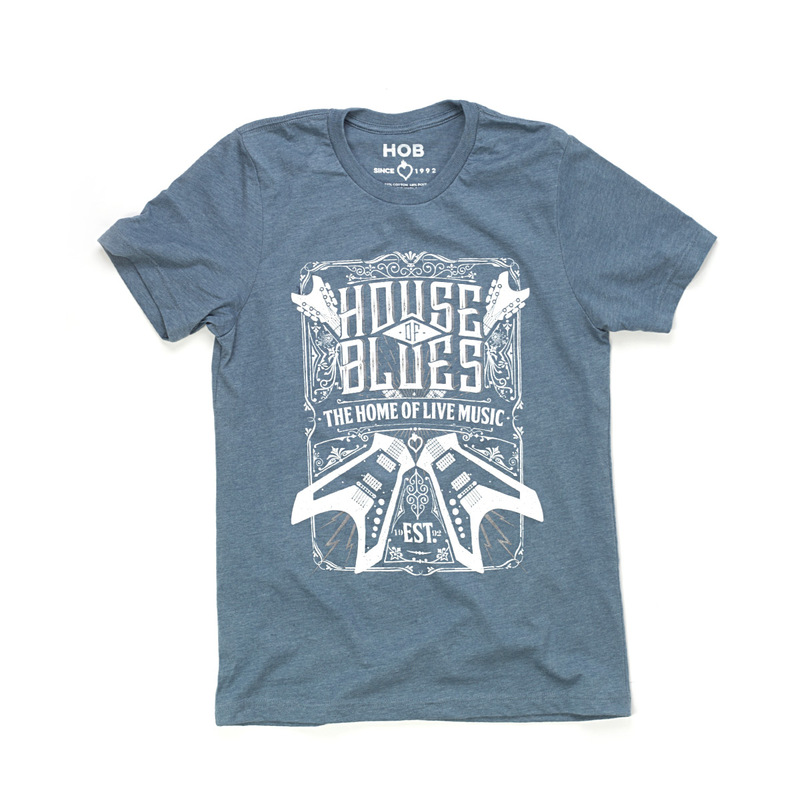 This slate heather blue unisex tee fits like a well-loved favorite; featuring a crew neck and short sleeves designed with 52% combed ring-spun cotton and 48% poly. The artwork on the front of the shirt is inspired by one of House of Blues moto’s, “The Home of Live Music” and features two flying v guitar / show poster art style, highlighted with silver metallic ink. Copyright © 2019 All Rights Reserved. Musictoday II, LLC, is the seller of all House of Blues merchandise and is solely responsible for all aspects of your purchase. Not all merchandise available online is available in stores. Please call store for inventory details.